I have been in the mood for dip! I love it with chips, crackers or even raw veggies! Dip is great for party food, makes a perfect appetizer for a slew of meals, and it is always a snack the whole family can agree on! 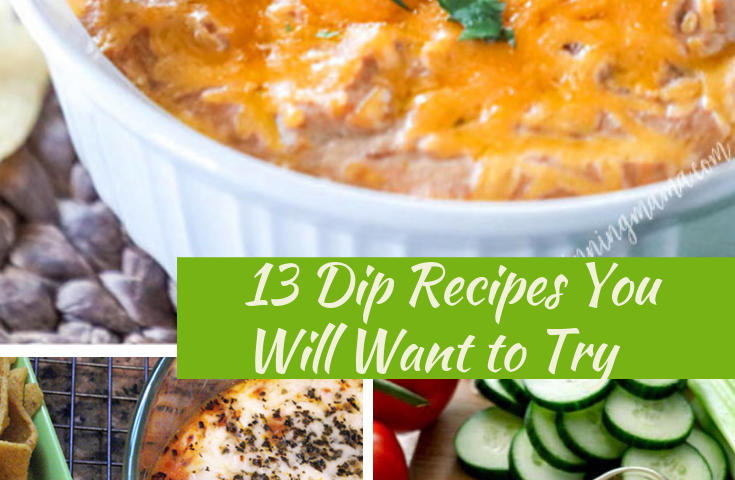 I gathered 13 of my favorite dip recipes to share with you. This collection has something for everyone on it. From Smoked Salmon Dip to an Easy Taco Dip; no matter what you might be craving, there is something here for you! 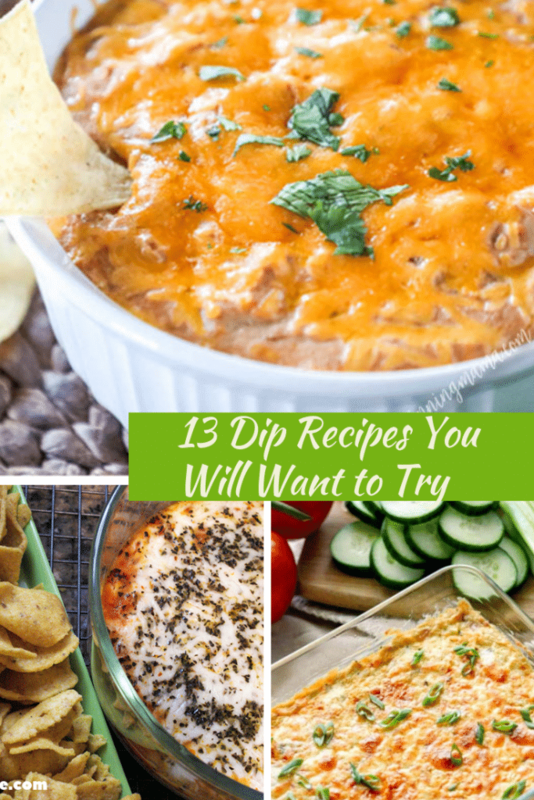 Which of these dip recipes will you make first? I am ready for that Hoagie Dip! It sounds scrumptious! If you have an excellent dip recipe I hope you will tell me about it in a comment! My boys will like the Pizza Dip and the Bacon Cheeseburger dip and they will be easy in the Instant Pot. I’m going to try the Caramelized Onion Dip first. The smoked salmon dip sounds delicious! Some of these recipes look so good, I can’t wait to try them. the blt dip looks so yummy! thanks for sharing. Our favorite dip is taco salad. It is very tasty and includes all of the food groups that we eat everyday. I also love guacamole. It is one of my favorite dips. My husband thinks it is disgusting. I pinned these recipes. I really want to try the Hoagie Dip! Yum! Unfortunately, I don’t like artichokes. I have tried to like them, because a few of my friends like to bring dips with artichokes in them. Thank you for sharing! These all look so delicious, but I think the Easy Taco Dip has peaked my interest the most. 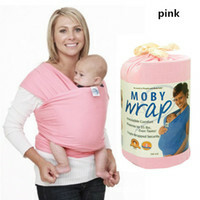 I so want to try it out. Yummy! I love this kind of food paired up with soup.